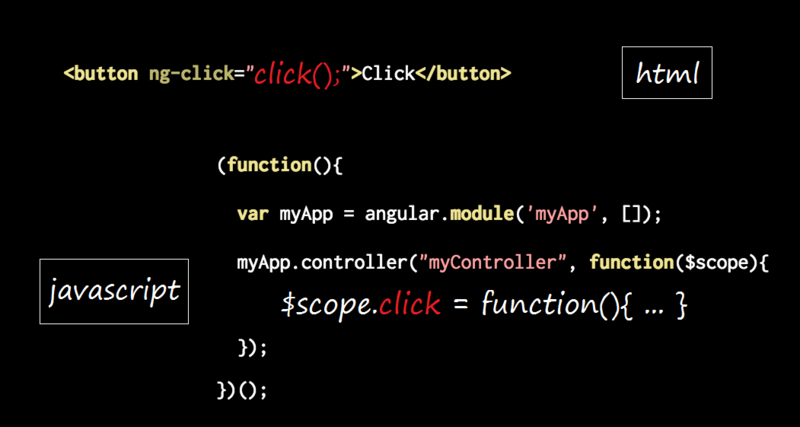 Second article about AngularJS and today we are going to see ngClick and ngRepeat directives. I’ve decided to write about these directives because they are very important and we use them all the time. The first thing we need to do is to create a button in our HTML code and through the ngClick directive call the click function. After that, we will define the click function inside the controller. Great. The button is working through the ngClick directive and the message expression we’ve created was replaced by “It’s working”. Now we’ve got a user array, simulating a JSON in the real life ;) How do we print out this data inside our webpage? We need to use the ngRepeat directive. The page has been printed out with all the names. But we need to print out the email as well as the age. What do you think about changing the list to a table? It will be easy. What if we want to keep our list and print out the name, email and age?